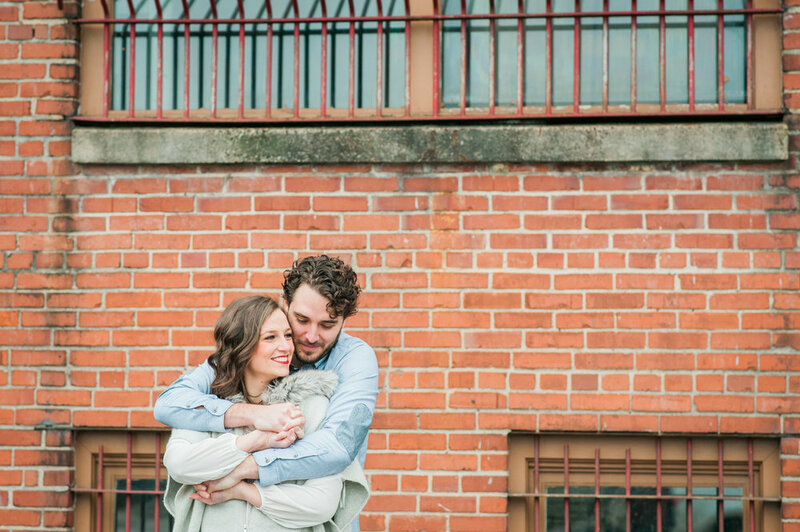 I have been so tickled with Emily & Ryan's engagement session! 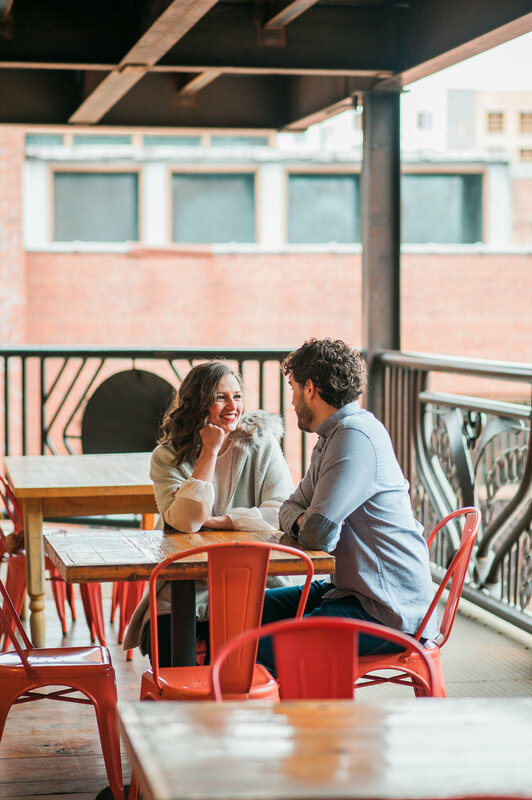 Not only is this session all about Durham, it was also featured in Southern Bride & Groom's blog! They love Durham, too. Read further to see why. 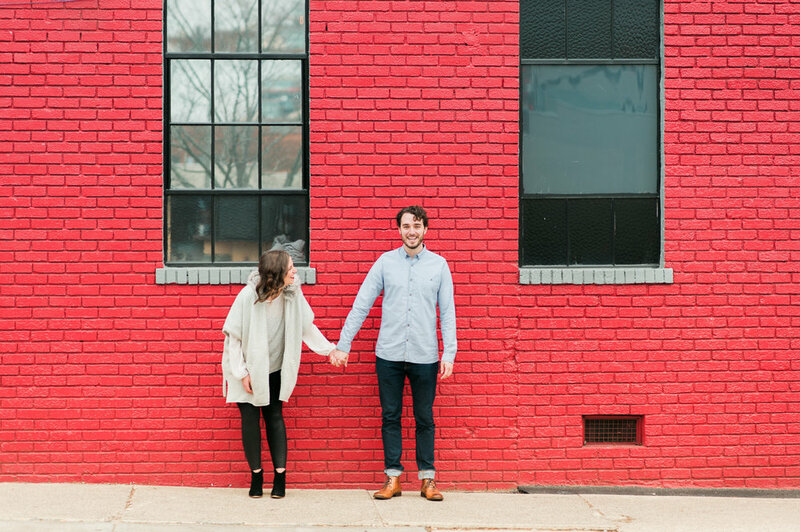 Emily, the soon to be bride, grew up in Durham and wanted her engagement session to incorporate that. The wedding took place at the end of March (photos to come soon) in Wilmington at The Atrium, so this was her way to love a bit more on her "small town." Whenever I work with a couple on their engagement session I always ask about what activities they do together. With Emily and Ryan, we could do every single thing in downtown Durham, which was just amazing in my opinion. These two go biking, which I just found out Emily JUST learned how to ride a bike a few years ago. She did this so they could have a hobby together. Isn't that darling?! They enjoy brewery hopping, and visiting cute little stores in and around Wilmington. We did the same thing, but in our lovely city of Durham. For this session we went to Clouds Brewing, hopped on one of the new Spin bikes downtown (which you can do via an app--crazy!) and made a pit stop at the ever enticing Parker & Otis--my fav! Love my crazy adventure loving couples!